Deathray (1998?2007) was a band from Sacramento, California formed by former Cake members Greg Brown and Victor Damiani, and Dana Gumbiner, a musician formerly of the Sacramento indie band Little Guilt Shrine. After leaving Cake, Brown and bassist Victor Damiani met up with Gumbiner, who was playing solo shows under a variety of names, most notably The Micronauts. The three recruited drummer James Neal and keyboardist Max Hart to form Deathray. After selling over 3,000 copies of their EP, Deathray was signed to Capricorn Records. After leaving Cake, Brown and bassist Victor Damiani met up with Gumbiner, who was playing solo shows under a variety of names, most notably The Micronauts. The three recruited drummer James Neal and keyboardist Max Hart to form Deathray. After selling over 3,000 copies of their EP, Deathray was signed to Capricorn Records. Their self-titled debut album was produced by Eric Valentine and released in 2000. While the album received critical praise, the band's future became murky during the collapse of Capricorn and a hastily-organized nationwide tour. After a long battle, Deathray was dropped from Capricorn, but regained control of the masters from their album, which they have since released on their own label, Doppler Records. Shortly thereafter, Hart left the band to move to Los Angeles and form his own band, The High Speed Scene, which has since released its major-label debut on the Neptunes' imprint, Star-Trak Records. Neal also left Deathray after the release of their first album. Following the recording of Cake's album Comfort Eagle, drummer Todd Roper left the band and has since also joined Deathray - giving Deathray more original members of Cake than Cake itself. Brown and Gumbiner remain the principal songwriters of Deathray, with Damiani also penning several tunes for the band. 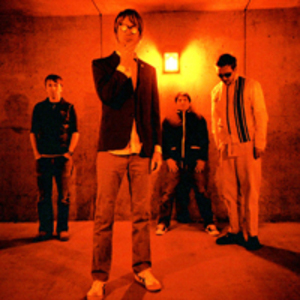 A brand new Deathray song titled "I Wanna Lose Control" appears on the soundtrack to the 2006 animated film Open Season (film), as well as a cover of Paul Westerberg's "Wild as I Wanna Be." These are the first two Deathray songs published by a major record label since the band's debut. As of July 1st, 2007 the band has split up according to an entry on their official website.